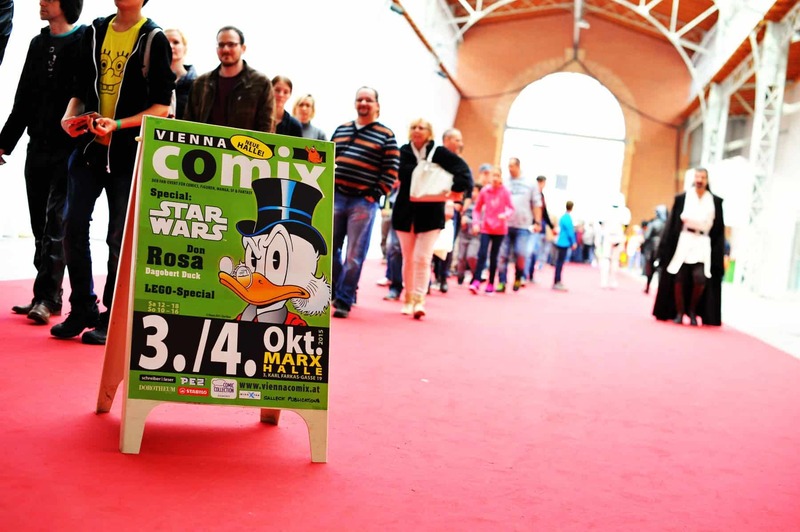 Vienna COMIX is one of the biggest comic fairs and conventions in Europe. 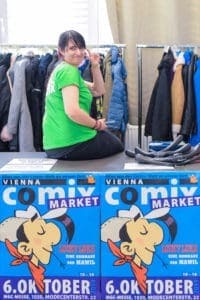 Since its foundation in 1993, the COMIX has grown to a large-scale event with an audience of up to 5.000 in Vienna, Austria. 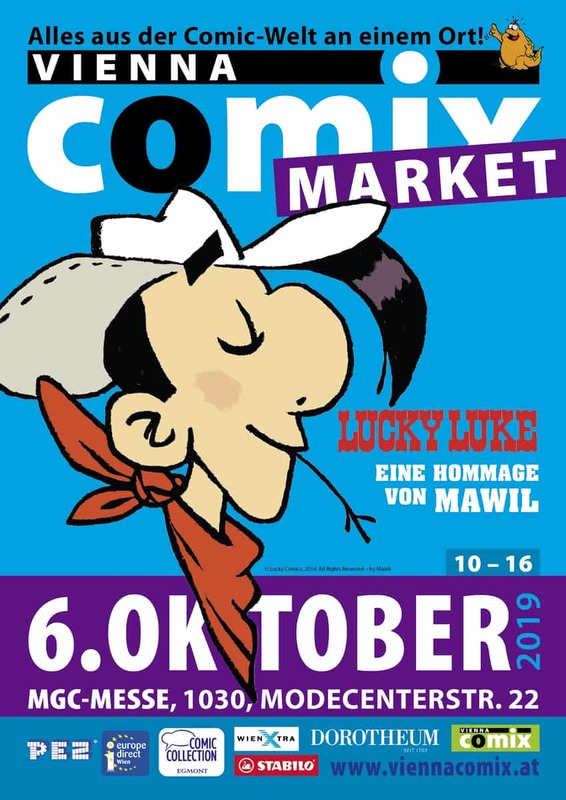 The cartoon fair takes places two times a year, with a special COMIX “MARKET” fair in spring at MGC Messe, and the main event Vienna COMIX in autumn. 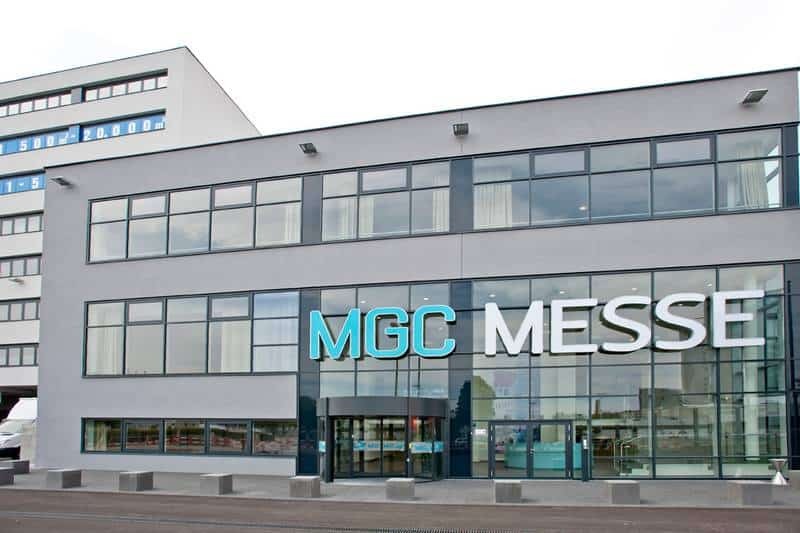 Each event, around 140 international exhibitors offer old and modern comics, graphic novels, posters, characters, stickers, t-shirts, and even more merchandise to the enthusiastic crowd of fans. Side events include meet & greet with our guest stars, experts panels, Cosplay award shows, newcomer artists presentations, and many more. Send general inquiries to info@viennacomix.com or have a look at our Facebook-Page! 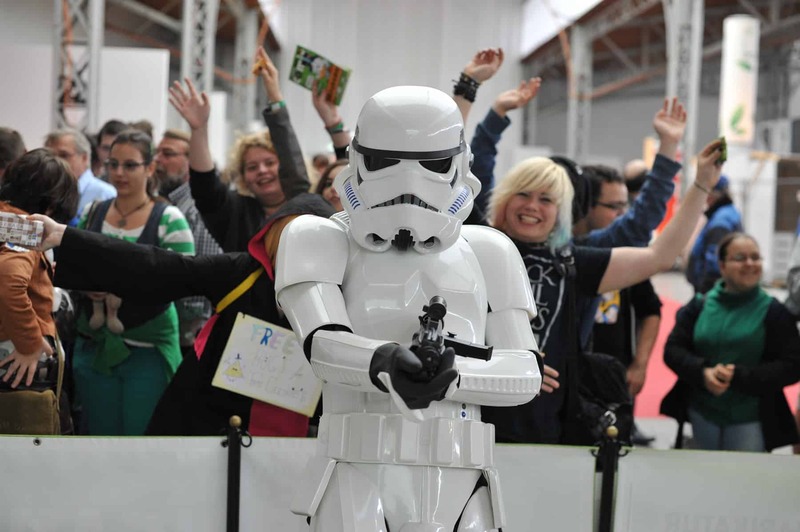 El Vienna Comix’, una de las ferias de dibujos animados más grandes de Europa, que tiene lugar dos veces al año, recibió a una multitud de visitantes caracterizados de Star Wars, y se espera que atraiga a miles de aficionados de Austria y los países vecinos este 4 y 5 de octubre. 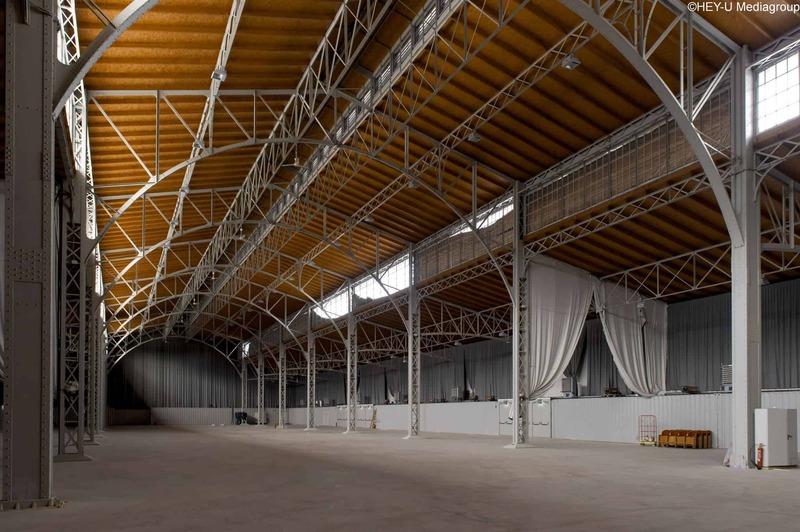 A big thank you to the COMIX partners!